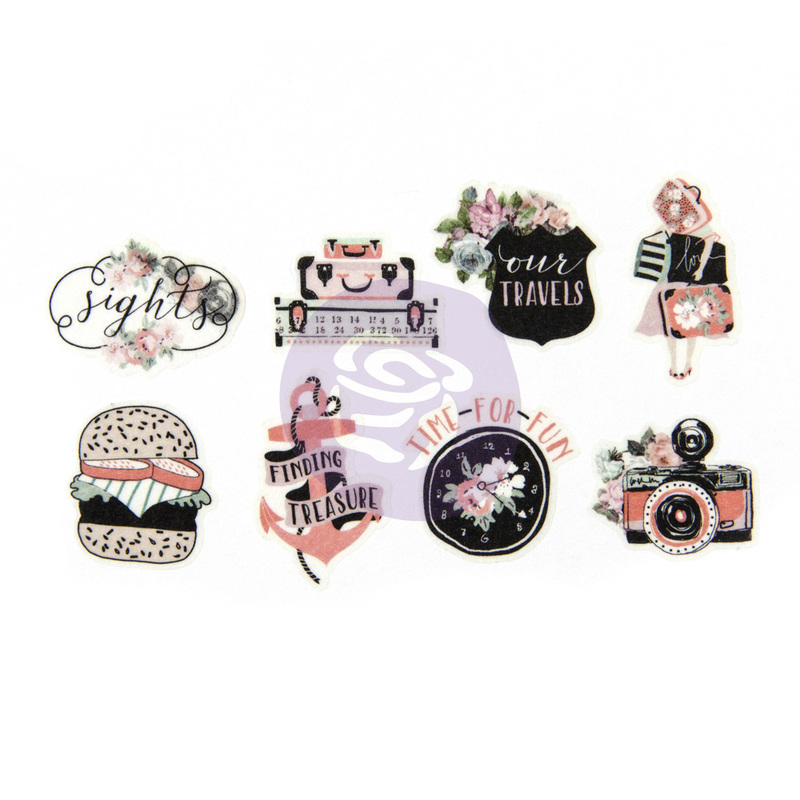 Say hello to our new Prima Traveler's Journal decorative tape stickers. 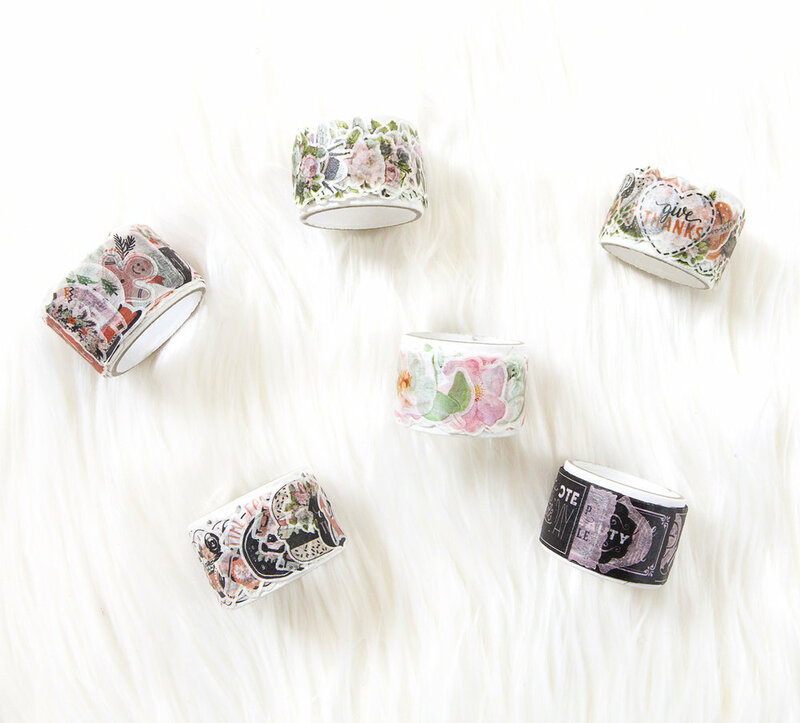 These new washi tape rolls are full of transparent stickers that peel off easily to use in your planners or any craft you would like to add them too. Take a closer look at all the beautiful designs on these rolls and learn all about them. 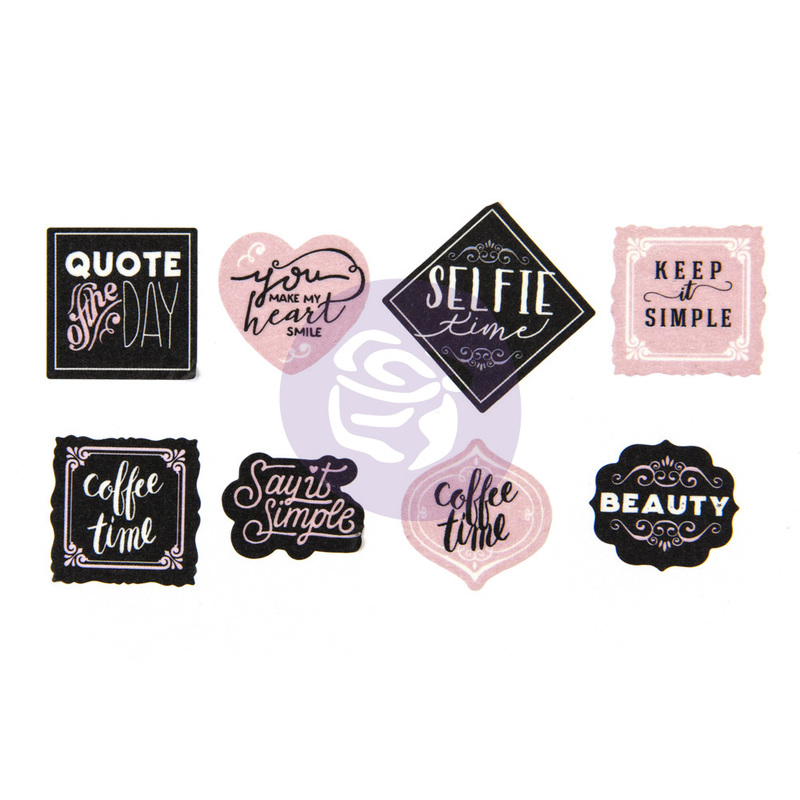 Our "Quote" set comes with 96 pieces and is perfect for adding that additional inspiration and perfect words to your layout. Our "Summer" collection has everything you would love to use throughout summer from traveling stickers, to food and inspiring words. 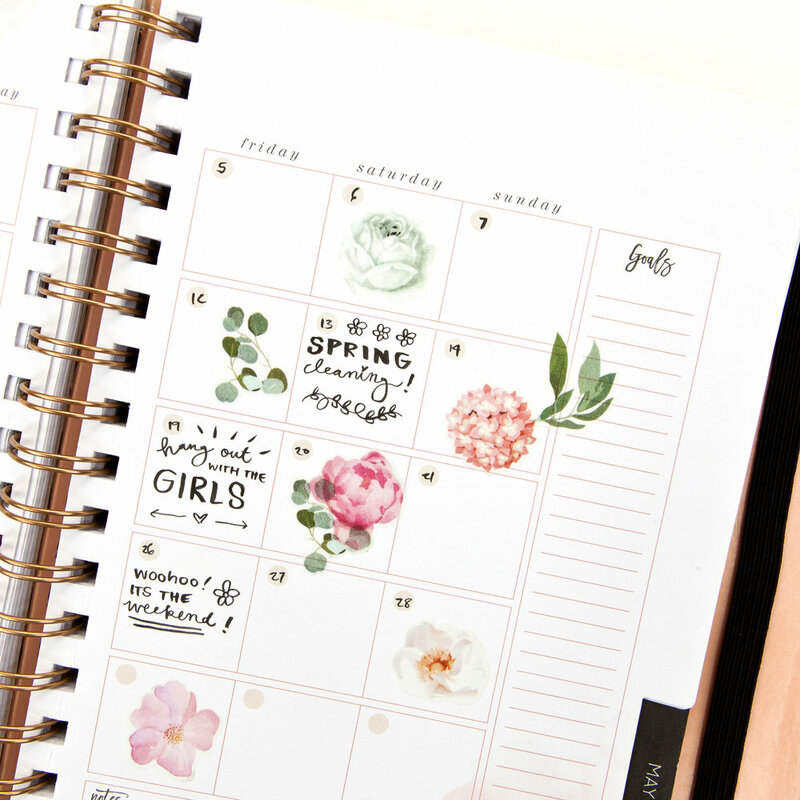 Our "Spring" collection has 96 pieces and comes with many beautiful flowers to get your layouts ready for spring, with beautiful oranges, pink and greens. 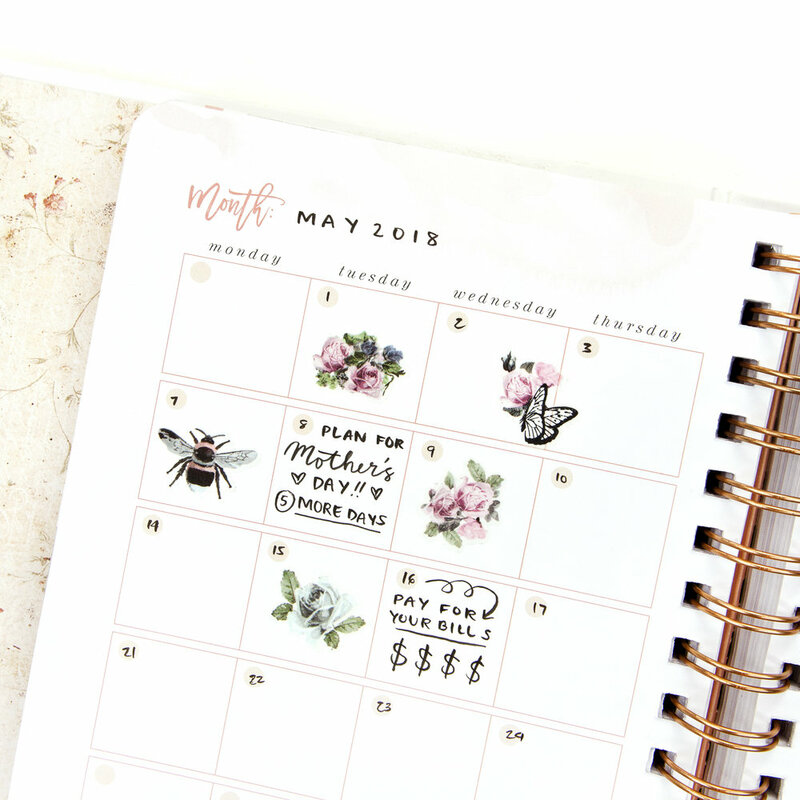 Our "Floral" roll has 96 pieces and has 8 different designs that go on clear making it perfect to put on any layout and layer them over other stickers or washi tape. 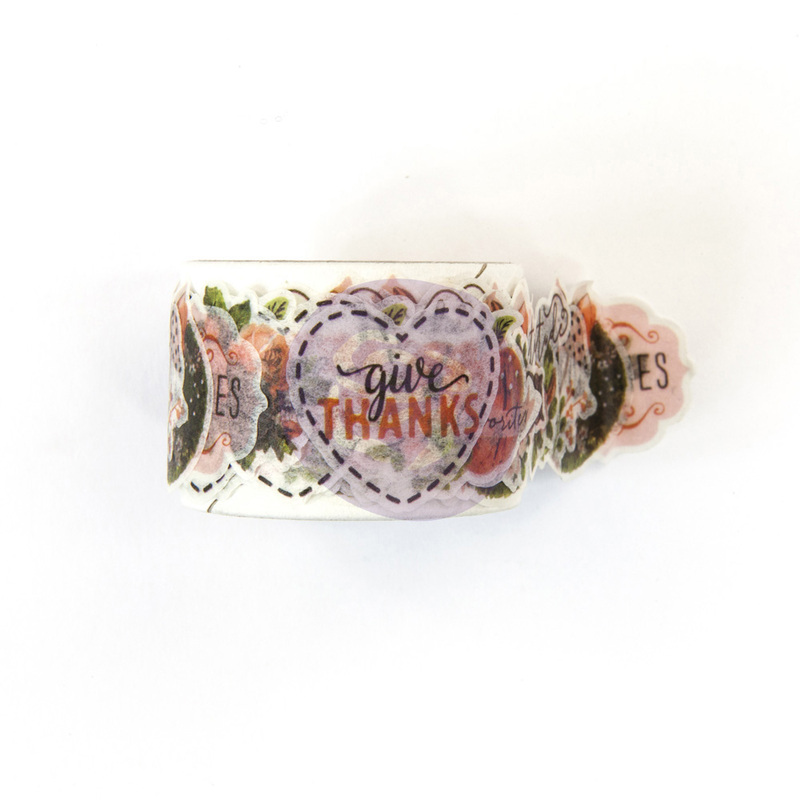 This fall you will not want to miss our "Fall" decorative sticker tape. From pumpkins to florals you will see the Prima floral style in your layouts this year. "Winter" really does scream WINTER! 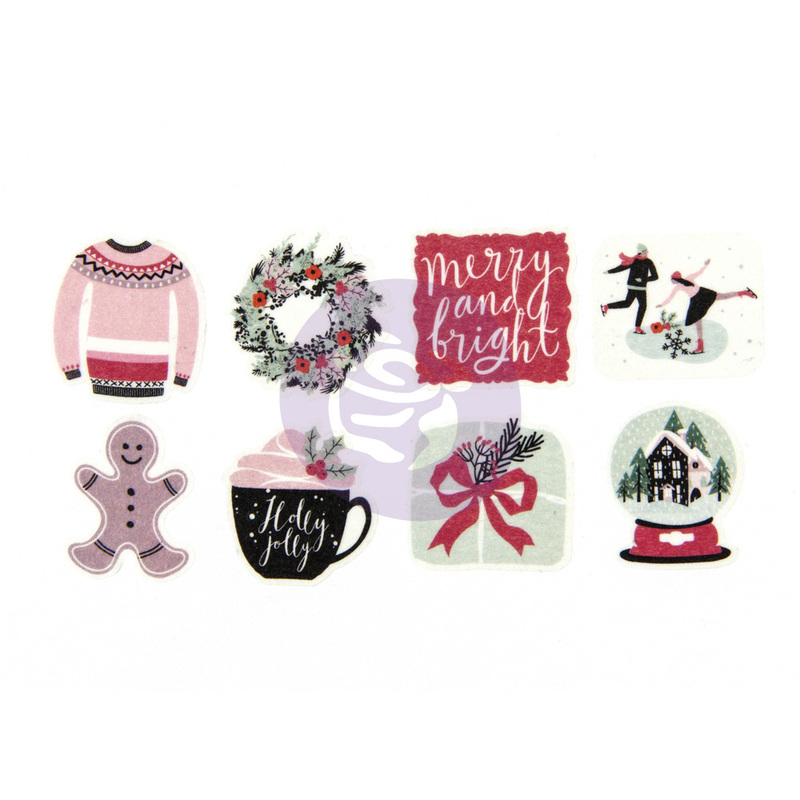 It has so many cute merry and bright stickers. 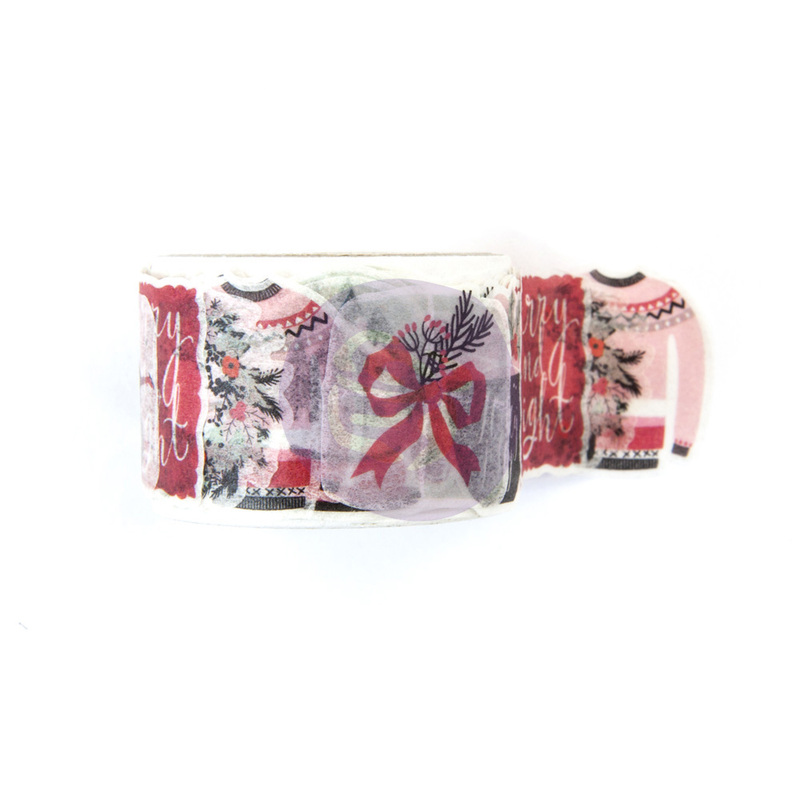 This roll comes with 96 pieces with 8 different designs. 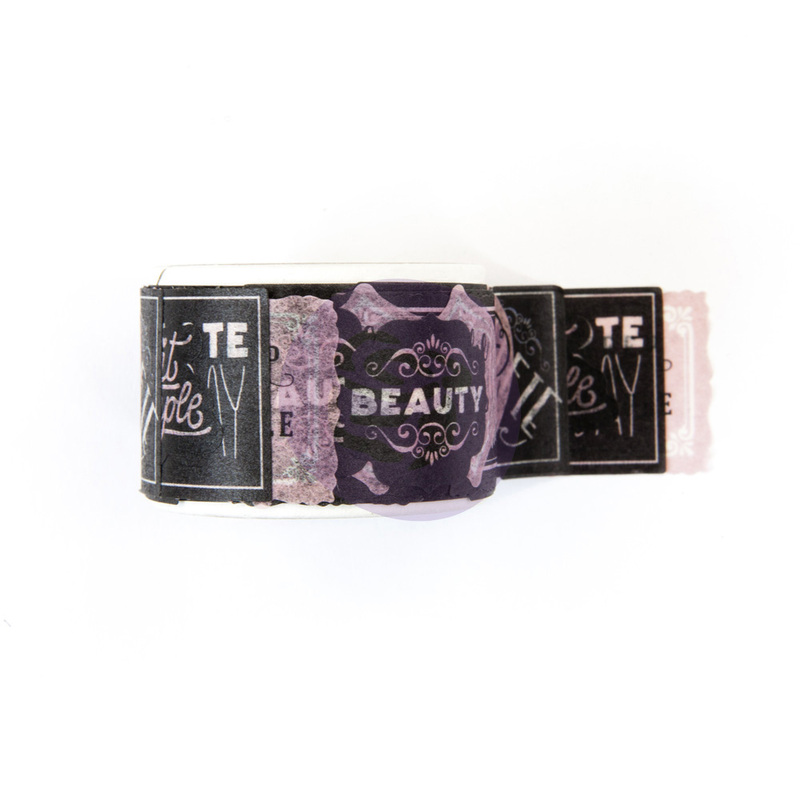 These decorative sticker tapes are perfect for anyone who travelers and is always wanting to take their stickers or wash with them. 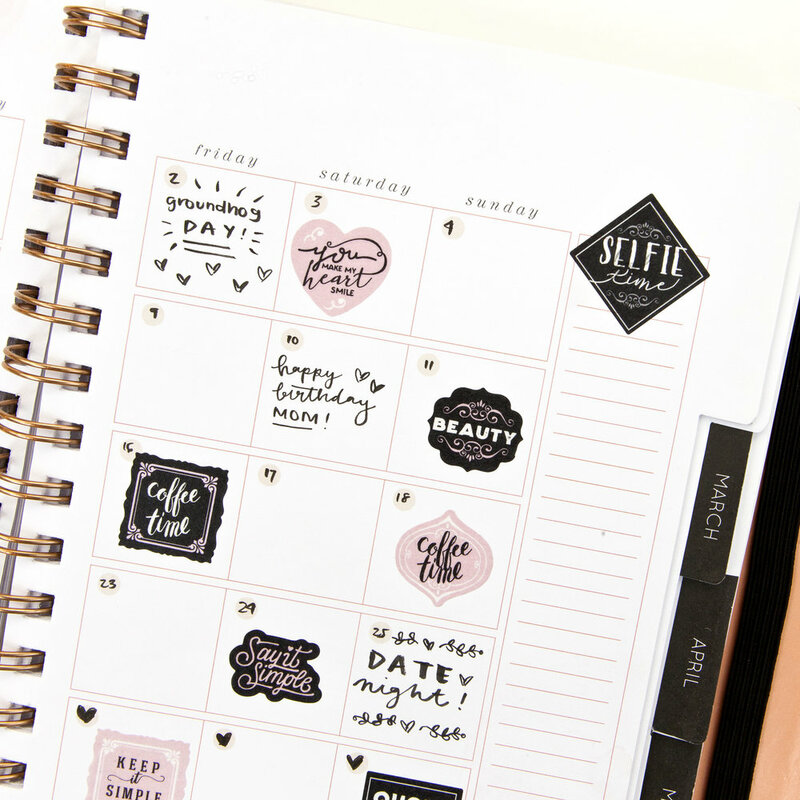 The flexibility of these stickers is perfect for traveling and work so well in any planner. These are now shipping to stores so make sure to check your local Prima carrier or you can purchase online in many stores as well.